Kitchen Studio Frederick has been a client for a few years, and it was time to give their site a fresh new look and make it responsive to be used on mobile devices. 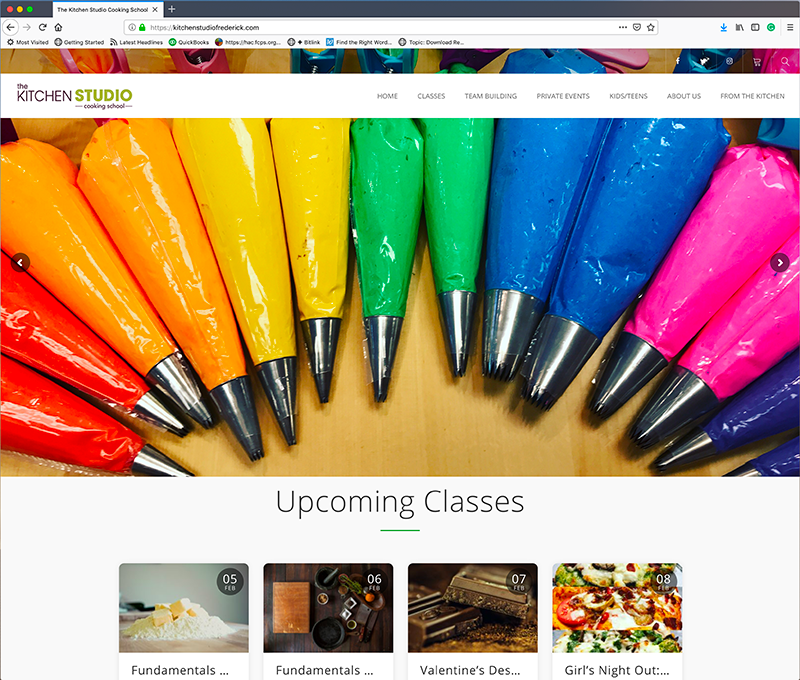 The website features a calendar system tied to e-commerce to allow visitors to browse classes and sign up online. All this, without leaving the Kitchen Studio website. View the site at: http://www.kitchenstudiofrederick.com.